EWG scientists reviewed Hair Off Facial Creme Hair Remover for safety according to the methodology outlined in our Skin Deep Cosmetics Database. We assess the ingredients listed on the labels of personal care products based on data in toxicity and regulatory databases, government and health agency assessments and the open scientific literature. 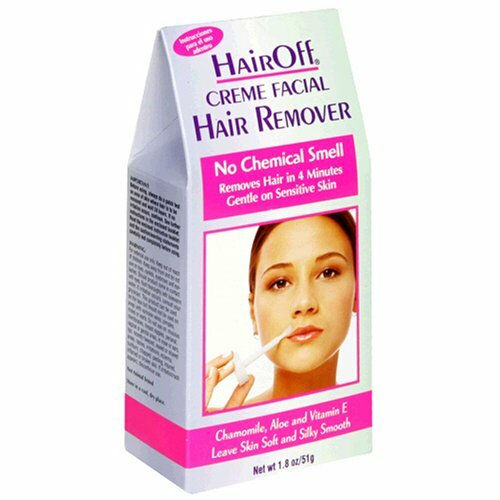 EWG's rating for Hair Off Facial Creme Hair Remover is 6. Important: Before using, always do a patch test on area of skin where hair is to be removed and wait 24 hours. If no irritation occurs, continue. See further instructions in the enclosed booklet. Read the enclosed instruction booklet and the caution/warning statements carefully and completely before using.